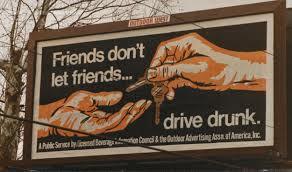 You may remember the old public service campaign from the Ad Council that stated “Friends Don’t Let Friends Drive Drunk.” A recent story from the Hamptons–the New York playground of the rich and famous–suggests an addendum to that saying: “Friends don’t drive off leaving friends lying in the road after a DUI accident.” That’s not something that cops see every day, no matter how many Los Angeles DUI incidents they handle. The purported friends in this case were 42-year old Manhattan real estate developer Sean Ludwick and 53-year-old real estate agent Paul Hansen. Ludwig was driving his Porsche around on 2 a.m. Sunday, August 30th, with Hansen a passenger in the car. Ludwick crashed the vehicle into a utility pole in Sag Harbor, on a corner not far from the front of Hansen’s family home. The accident ejected Hansen from the car, but instead of staying to assist him (and face police), Ludwig allegedly took off, leaving Hansen’s body in the road. The police caught up with Ludwick about a quarter mile away. They retraced his route and found the accident scene and Hansen’s body. Police arrested Ludwig and charged him with DWI and leaving the scene of an accident. His bond, initially set at $500,000, is now $1 million since prosecutors have argued that he could be a flight risk. Ludwig may eventually face charges of vehicular homicide. Ludwig has had problems with the law before. Earlier this year, he pled guilty to assault and battery charges for hitting his girlfriend and for destruction of property for ripping her phone out of the wall. He broke into another ex-girlfriend’s apartment and destroyed artwork he had painted for her.